I absolutely adore Faith Hogan's books so it is my pleasure to share an extract from her latest novel, Secrets We Keep. You also have the chance to win a signed copy yourself so you really don't want to miss the giveaway at the end of the post! Two distant relatives, drawn together in companionship are forced to confront their pasts and learn that some people are good at keeping secrets and some secrets are never meant to be kept..
A bittersweet story of love, loss and life. Perfect for fans of Patricia Scanlan, Adele Parks and Rosamunde Pilcher. The beautiful old Bath House in Ballytokeep has lain empty and abandoned for decades. For devoted pensioners Archie and Iris, it holds too many conflicting memories of their adolescent dalliances and tragic consequences – sometimes it’s better to leave the past where it belongs. For highflying, top London divorce lawyer Kate Hunt, it’s a fresh start – maybe even her future. On a winter visit to see her estranged Aunt Iris she falls in love with the Bath House. Inspired, she moves to Ballytokeep leaving her past heartache 600 miles away – but can you ever escape your past or your destiny? ‘I’ve never seen anything like it,’ Kate said. It was her first thought as they turned down the cove and saw the bathhouse snuggled into the cliff face. It was a turreted, stocky grown-ups sandcastle. ‘It could have been emptied from a child’s bucket,’ was her first reaction. It had been painted, white with a light blue trim once, then the waves and the spray had all but washed that away. It still sat proudly, if shabbily, on a huge flat rock, that upturned in a lip over the sea. It was a plate, large enough for any giant. ‘I don’t remember the bathhouse even being open. I could imagine that I’d have spent all my days here if I had.’ Rita looked at the washed white walls that reached high into the cliff face. ‘Well, Archie said they ran it for a few years, but he didn’t say when it shut.’ This place probably held sadness for Archie, if his brother died here. Kate couldn’t feel it. Instead, it made her feel energized, as though the sea was spraying something like an invitation deep into her lungs. It made her heart pound with an expectation she hadn’t felt in years. Even the deserted castle keep that loomed up in grey stone at the tip of the headland seemed to carry a hopeful secret in its towers. Kate walked to the back of the bathhouse; it dug into the cliff face, as though the construction of one depended on the other. Alongside the building, a small narrow road clung to the cliff for a couple of hundred yards before it feathered off onto what counted as a main road in these parts. Far below, the waves lapped serenely against the stone. It was low tide now; Kate wondered how close the water actually came to the rock. ‘I’d love to get a look inside.’ Rita followed her round to the front of the bathhouse. They peered through a sea sprayed window for a few minutes. Inside, Kate could see there were tables and chairs, a small stove and an old-fashioned counter where once someone had taken orders for afternoon tea. ‘It’s a little café, wouldn’t it be lovely if it was open for coffee?’ Kate mused, it was so much more than just a bathhouse. Already an international best seller, Faith Hogan is an original voice in women’s fiction, she has been hailed as a Maeve Binchey for a new generation. Her stories are warm and rooted in a contemporary Irish landscape which has lost none of its wit or emotion thanks to its modern vibe. Faith Hogan was born in Ireland. 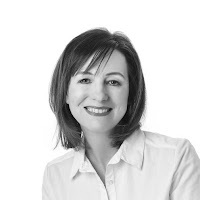 She gained an Honours Degree in English Literature and Psychology from Dublin City University and a Postgraduate Degree from University College, Galway. She has worked as a fashion model, an event’s organiser and in the intellectual disability and mental health sector. She was a winner in the 2014 Irish Writers Centre Novel Fair – an international competition for emerging writers. 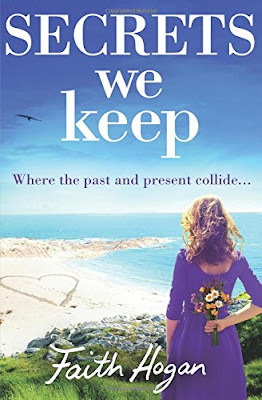 ‘Secrets We Keep,’ is her second novel published with Aria Fiction. Her first, My Husbands Wives has been a top ten best seller and is currently available in paperback. 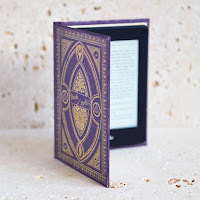 Win a signed copy of Faith’s book Secrets We Keep! THE SECRETS WE KEEP by Faith Hogan sounds wonderful. What an honour for Faith to be compared to Maeve Binchey!